Children's Magazines we Read and Love! Magazines for children are a luxury, a fun read. Some have activities and some are more educational than others. These are six children's magazines that we read and love. We have subscriptions to a couple (Dot and Anorak) and the others we get when they are available. From a Montessori perspective, the first three of these magazines have some abstract concepts so you might want to read them first before introducing them to your child. Dot - Ages 5 and under. "DOT encompasses all aspects of a child’s life, from jumping in puddles to learning through play. It encourages kids to be resourceful and find solutions using all the tools they naturally have at their disposition: imagination, creativity, and fun." Produced by the same publishers as Anorak. Suitable for early readers. Anorak - Ages 6+. "Published four times a year, every issue has a theme (inspired by the British National Curriculum) to inspire and encourage kids to tap into their natural creativity and learn while having fun. Every edition has plenty of beautifully illustrated stories, games, and activities to keep your little ones' creative cells buzzing." Okido - Ages 5+. "Okido is the arts and science magazine for children. It's designed to engage young children in scientific discovery in the most fun and creative way. Okido magazine helps children learn through play. It is full of stories, activities, and games that stimulate creativity and inspire scientific interest." Double Helix - Ages 7+. "Double Helix magazine is designed to foster an interest in science, technology, engineering and maths (STEM). We aim to make it an easy, fun read for people, whether they are already interested in science or not. Double Helix magazine also promotes critical thinking and literacy in school-aged children and teens." From the CSIRO Australia. National Geographic Kids - Ages 5+. "National Geographic Kids is an exciting monthly read that makes learning fun. From wildlife to space, geography to the environment, it has all the incredible stories and dazzling images you'd expect from National Geographic, packed into bite-sized chunks." I've enjoyed many of the National Geographic magazines with my children but I would always read them first to ensure the content was suitable. The US also have National Geographic Little Kids which we read many years ago. Wildlife Australia - Not written specifically for children, however, I recommend for ages 5+. "The Wildlife Preservation Society of Queensland has for 50 years published Wildlife Australia, a national magazine, to increase ecological understanding and environmental awareness." This is suitable for much younger children if they just want to look at the pictures, there are often lots of interesting and up close images. Australian Wildlife look amazing too! Sometimes it's nice to see the magazines in person. Where The Wild Things Are in West End (Brisbane) often has both Dot and Anorak. Our local newsagents stock National Geographic Kids and Wildlife Australia. I know there are many more magazines aimed at young children. We tend to avoid magazines with advertising or where the themes are too adult or commercialised. Sometimes they are really useful (as are new books) to take when travelling or while waiting for an appointment. Please let me know if you read any of these or if there are others you would recommend! It's been a busy week. The boys are on school holidays and I've barely made it into my office. So this is a quick post, a few pictures from today! Otis is loving this tray of feathers. Reading Feathers: Not Just for Flying. The boys' (mainly Caspar's) knitting. We are using this set from Indigo Inspirations with lovely hand dyed rainbow wool. It started at 12 stitches and is now 15 stitches across. There are a few lumps and bumps but overall they are doing a great job. The lesson I've found here isn't really about knitting at all but about concentration. When the boys are concentrating the knitting comes naturally but when their concentration is broken they start to drop stitches. There are so many ways we can use this plaster, we have only just started experimenting. Caspar made a mask and Otis made a cast of his hand. Perhaps we'll make a volcano next or cover a balloon. You can see how Caspar's mask and Otis' hand turned out here, all they need to do is paint them. Otis enjoying a natural obstacle course. Caspar and his pet Guinea Pig. Caspar's work table, reading Nature Anatomy and a local guide Backyard Insects of Brisbane. I hope you are enjoying your week! It's now Autumn in the Northern Hemisphere (and Sping in the Southern), where ever you are it's a good time to explore leaves! Here are a few leaf puzzles, from around the world. Perfect for the nature table, botanical study area or work shelves. The first three are suitable for toddlers who are working on hand-eye coordination. There are puzzles for learning about the different types of leaves and the more traditional Montessori Parts of a Leaf Puzzles for exploring the anatomy of a leaf. I love them all! Have you ever attended a parenting course or seminar? Raising Confident, Competent Children with Triple P! Have you ever attended a parenting course or seminar? I think it's a bit like upskilling or professional development. I believe that parenting will be the most important thing I ever do, I need all the tools and skills I can get! Last week I attended at Triple P Parenting Seminar and I was so, so surprised at what I took away. The parenting seminar I attended was only an hour long and completely free, it was well worth the investment. I went to the Raising Confident, Competent Children seminar presented by Matt Sanders. Matt was completely non-judgemental, warm, welcoming and funny. He spoke with clarity and presented parenting tools and strategies in a very positive and reassuring way. While I don't have any specific parenting concerns I left the seminar feeling really empowered, knowing I have lots of tools to improve my parenting. I feel the seminar would be beneficial for all parents including those who favour natural, attachment and Montessori parenting. Triple P don't tell parents how to parent but rather help them set their own goals according to their own beliefs. There was a strong focus on raising confident, resilient, independent children with lots of strategies that are very in line with my Montessori thinking. There was also a focus on positive discipline. Listening to the other parents in attendance this was a major area of concern. If you have similar concerns about discipline I recommend looking up Triple P seminars in your area (there are regular seminars around Queensland). Triple P has something for every parent. They offer one-off seminars that give parents a few ideas, to ongoing courses and support in private, in groups or online. Triple P is one of the world's most respected parenting programs. It has been extensively trialled, tested and researched. It has been proven to work for most families, time and time again. What I like most about the Triple P program is that it is flexible, there are so many ways to access free services. It is a positive program and very practical. Triple P was developed here in Brisbane and is now used in 25 countries. You can also learn a little more about the program and hear from other parents on YouTube. You can find out more about Triple P on their Facebook page and Website. This post is sponsored by Triple P - Positive Parenting Program and the Queensland Government. This was our first week of the Spring school holidays. The boys have been busy and mostly enjoying days at home. Both boys created some salad spinner art (above and below). Here are a few things I've been reading this week. It's a Material World by Sveta Pais at MariaMontessori.com. Sveta touches on a really important topic of parenting in a Montessori way. Colour of the Day Dishcloths at Happy Whimsical Hearts. I love this post so much, I've knitted dishcloths before and this is a fantastic idea from an Australian Waldorf family. This is the most gorgeous (wooden cursive name) puzzle at Midwest Montessori. Charlotte is a lovely name to see in cursive. Easy to Prepare Apple Activities for Preschoolers at The Pinay Homeschooler. I also adore this post Color Tints and Shades for Preschoolers. Inspiration // A Montessori Birthday at A Lovely Journey (English here). How the Montessori Method of learning creates better workers at Global Young Voices. How awesome is this natural geoboard at Teach Make Create! I might make one with some timber off-cuts! Looking for something to keep those older children busy? How about this Friendship Bracelet Tutorial at Art Projects for Kids. This is an inspiring story (watch the video) - Blossom Montessori School for the Deaf. 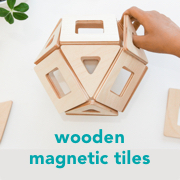 Interested to know more about Montessori in the home? Simone from The Montessori Notebooks has a 4-week online workshop Setting Up Your Home Montessori Style, starting Monday 26th September. Simone is an AMI Montessori teacher who has been working in the classroom since 2004. You can sign up to the online workshop here. I'm going to take the course and see what I can do to improve some of our home environments! I love finding fantastic new release books. But I also love the good, the old and the dependable. My First Discovery Books are so reliable, whatever the topic I know Otis will enjoy the book! They are just at the right level for 3 to 5-year-olds. Not too much, not too little detail. The books are all bright, friendly and factual. I have to say that the transparent overlays play a big part of the education factor but also the enjoyment for little ones. Each book has overlays that allow you to see the internal anatomy of humans, animals, inside eggs or show reverse sides of the picture. There are many books in the series from one of our favourites The Body (so important to teach children about their own bodies) to animals, science, transport topics. There are books for almost every area of interest. We've been captivated and I hope we can build our collection. While I feel children older than five will still enjoy the series, it's likely they will be looking for more information on the topics, in greater detail. We've often used these books on our nature table or for displays. They are not too big and with the hard cover and spiral binding they sit nicely on the table. A new addition... Whales. Otis also enjoys Sharks. You can see the size, good for displays but also for reading in bed! I haven't seen any of the My First Discoveries books locally and my friends hadn't seen them before. They are really worth looking at for gorgeous and engaging nonfiction books for the home or classroom. You can find the series at Amazon or if you are outside of the US you might like to try the Book Depository (around $15 AUD per book with free shipping). I am passionate about indoor plants, not just in the children's areas but throughout our home. A home doesn't feel like a home without a bit of greenery. I've been into classrooms who do indoor plants really well, and I've also been into a few classrooms with next to no living things in them (other than the students and staff). Indoor plants are fantastic for purifying the air and creating a feeling of warmth. Today I wanted to get everyone thinking about their own environments, children's areas in the home or classroom. Is it vibrant, is it alive? Could your space do with an extra plant or two? I'm always bringing home (or propagating from friends and family) more plants and at the moment I am striving for greater diversity. Different shapes, textures, different ways of growing plants for the children to explore! There are many types of really practical indoor plants (too many for me to mention) but here are a few ideas. Air plants (Tillandsia) - oh so easy to care for! Plants in a terrarium - I'm hesitant to mention terrariums as I've had my failures but they are well worth pursuing. Climbing plants, Hanging plants - Philodendron (is toxic when consumed). Carnivorous plants - these are fun, there are some really unique and interesting varieties. Big glossy-leaved plants - Peace Lilly, Fiddle Leaf Fig, Monstera. Indoor trees - I've had the most success with the Ficus varieties. Sprouts, growing food from seed. With all plants check their toxicity before introducing them to your children. There is a good guide to what plants are toxic at UW Health and here at Safe Kid. For Australians, Raising Children has Dangerous Plants Checklist. I love many of these plants but would keep them out of range of small children. All have different requirements for sun/shade and water and some work better in each locality. I also love exploring plants, seeing what can be propagated, what will grow in water and in jars! I'd love to hear what plants you have in your home or classroom! Or you might want to go big and try polishing something larger, a tray or some furniture. Beeswax polish is readily available in the US (try Essential Montessori or Three Beeautiful Bees) but harder to find here in Australia. Beeswax (raw in block form) is easy to find at farmers markets, and really affordable too. If you can't find it at the market ask your local beekeeper/honey supplier often they put it aside or have it by request. There are other oils compatible for this recipe but for cost and availability, I continue to use a good olive oil. Here is how I make it. Place the Olive Oil and grated Beeswax in a microwave-safe bowl or Pyrex Jug. The finer the Beeswax is grated the faster it will melt. Put the jug in the microwave on medium temperature and watch until the Beeswax melts completely into the oil. You could also use a double boiler. The oil/wax blend will be very hot once melted. Take the bowl out of the microwave and pour straight into small jars. Keep out of the reach of children and allow to cool. The oil and wax will cool into the solidified polish and is ready to use. You can see the process in pictures in an earlier post here. Use a clean cloth or small mitt or even cotton ball to generously apply the polish to the wooden item. Wait 1-2 minutes. Polish with a fresh, clean, soft cloth. Some of the fantastic examples above have a used a timer, so the child knows exactly how long to wait. More detail on how to present the activity to the child can be found here. Store the Beeswax polish in a jar or container with an air-tight lid in a cool, dark spot. It's likely the polish will last longer than a year but check the date on the Olive Oil to be sure (stay within the use by dates). Interested in taking a peek into two French Montessori classrooms? Here are two lovely examples. I don't speak French though, so please let me know if something has been lost in translation! Bande annonce Le maître est l'enfant - film sur la pédagogie Montessori - Trailer The master is the child - film about the Montessori method. You can find out more about this film here. This is a fund raising campaign to produce a documentary feature to explore the values, practice and Montessori's challenges through the life of a kindergarten class. You can read a little background on this project at The Montessori Observer. Réorganisez votre classe maternelle - Rearrange your kindergarten class. You can read the post that accompanies this video here and here in English. I have really enjoyed this channel, there are videos specific to individual presentations (mirror polishing, caring for plants, washing, folding, cutting). Have you read Celine's book Les Lois naturelles de l'enfant? I've translated bits of it, please let me know what you think! 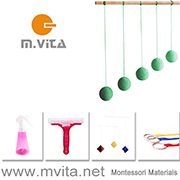 Please feel free to leave a link to any of your favourite Montessori videos! Two New Games to Try - For Spatial Awareness, Visual Discrimination, Brain Development. The boys have been playing two new games that are super fun and educational - it's time to share them! Both of these games require concentration, spatial awareness, visual discrimination and are fantastic for brain development. Make 'N' Break and ShapeOmetry are c/o Child.com.au. Above Otis is playing Make 'N' Break. Otis at five can complete all levels. We don't play it in a competitive way. Although the children like to race the timer! The child takes a card and builds the blocks to match the pattern on the card. If they beat the timer they win. Some of the cards are really easy for Otis and other are more difficult. They require him to think and concentrate. Caspar at eight also loves to do this as quickly as possible! Both of these games are suitable for the home, homeschool, a school waiting room, play room or after school hours care. The other game the boys have been enjoying is ShapeOmetry. With ShapeOmetry the child selects a card and selects the coloured pieces that are on the card. The child then uses the pieces to make two identical shapes. The answer is on the back of the card which allows the child to self-correct. This is much more about mathematical relationships in a hands-on way. The boys recently took both of these games to their Grandma's house. ShapeOmetry has a little pouch which makes travelling really easy. I recommend this game from five to six-years plus. Here Otis is working on the beginner level and it is challenging. Thank you to Child.com.au for the games. Child.com.au currently has 25% off games and puzzles for a limited time, see the website for details. We also love the Baby Animal Matching Game (for younger children), International Flag Matching Game, Junior Colorino and Make 'N' Break Junior. Take a peek into our Montessori kitchen areas through the years starting at eighteen months. As the children get older we naturally move things around. You will see a lot of the same materials just in different locations. It's fun to look back! Above our food preparation area from 18 months, including a drinking station. We put low side table near our kitchen for pouring drinks and serving food. There is a small (bar) refrigerator near our kitchen to store the children's snack, it's nice and easy for them to access independently. We have a low hook near the dishwasher for a small/child sized tea towel. We also want our children to be involved in composting so our bokashi composting system is kept in an accssible kitchen cupboard. Kitchen shelves with plates and glasses from three years. The top left picture is from our Canberra house and the other images are from our Brisbane house. We used the Fun Pod (top right) from 18 months for the children to work at the kitchen bench. Above is our kitchen areas from four years. We are still using the bokashi system of composting! Kitchen areas at five years. Also at five years we introduced a low and child accessible toaster oven for baking. I hope you've found some useful ideas! Montessori Accounts to Enjoy on Instagram - September! Today I want to share some Montessori posts and accounts I've enjoyed on Instagram this month! Montessori Sorting Trays - and Ideas! 1. Sorting Tray (UK) / 2. Nienhuis Sorting Tray Small (UK) / 3. 3-Compartment Sorting Tray with Handles / 4. Wooden Sorting Tray (Australia) / 5. Compartment Wood Sorting Tray / 6. Compartment Wood Sorting Tray / 7. Round Willow Sorting Tray / 8. Carved Wooden Sorting Tray / 9. Three Section Wood Tray / 10. Two-Section Sorting Dish / 11. Flower Sorting Tray (Australia) / 12. Clean Egg Carton / 13. Paint Palette / 14. Plastic Circular Sorting Tray (Australia here) / 15. Counting Tray (Australia) / 16. Muffin Tray / 17. Ice Tray / 18. Wood Serving Tray / 19. 5 Section Acacia Wood Serving Tray. I love Montessori inspired activities that are really easy to do at home! Sorting activities are easy to prepare and are fantastic for developing visual discrimination, coordination, and concentration. I always think it is best if the sorting is purposeful. For example, you have a tray of buttons to sort into colours, rather than sorting just for the sake of it. However, some children, especially during the sensitive period for order, may enjoy a prepared sorting activity. Many children enjoy colour sorting activities! Sorting trays are very useful (and often very beautiful) however, depending on the activity a muffin tray, paint palette, ice tray or egg carton may be suitable. Children can also do the transferring work with small tongs (start with some mini tongs) or even some automatic chopsticks. Always supervise your child and don't present small items if they are still putting things in their mouth. With my children I always set up their sorting activities based on what I thought they might be ready for or interested in. The older the child the more complex the activity can be. I remember Otis loving a sorting activity at his toddler class with beautiful glass tiles all in different shades of green and blue. It was really difficult for him but he enjoyed the challenge of sorting the shades and looking at them for some time and comparing them. Sorting can also be interesting for language development - you can name the different varieties of beans, pasta or shells you are presenting! Sorting Buttons at How we Montessori / Honeybee Toy and Craft - Rainbow Sorting Acorns / Color Sorting Wheel at Homemade Montessori / How we Montessori. If you are in Australia you might be interested in The Natural Resoucer (new to me!) which has lots of gorgeous natural items (loose parts) and sorting boxes! This article on transferring has some nice examples of sorting work too!